It doesn’t get more international than this. 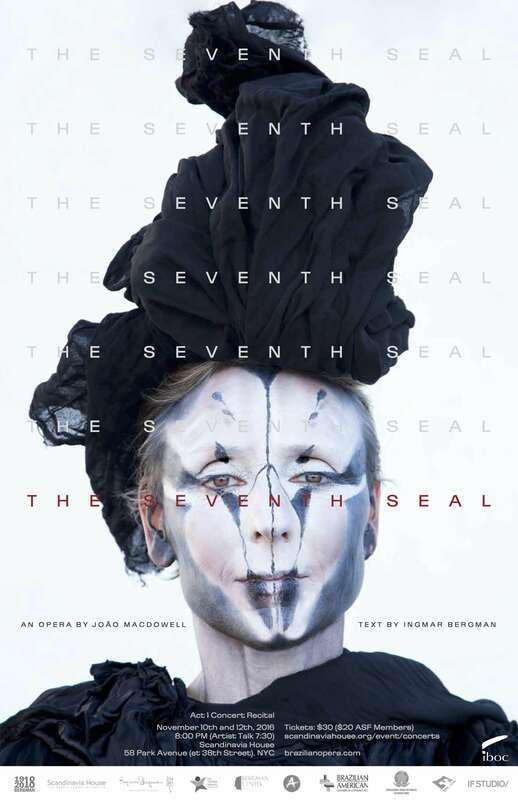 On Thursday (10) and Saturday (12), the International Brazilian Opera Company (IBOC) will present in New York a concert featuring music from “The Seventh Seal”, a new opera by the Brazilian composer João MacDowell inspired by the Ingmar Bergman film of the same name. The Swedish “The Seventh Seal”, considered a classic of world cinema, follows disillusioned knight Antonius Block’s encounter with Death over a chess match, after returning from fighting in the crusades, finding their homeland devastated by the plague. “I relied primarily on the 1957 version of the film. I also used the audio of the film to guide me in writing the music, following the intonation from the actors,” says MacDowell. The upcoming recital will feature Act 1 and will be sung in Swedish with projected English subtitles. “Opera is an artistic ritual that involves music, theater, visual arts and literature, combining all forms of expression into one single moment, produced and shared by a community of artists,” MacDowell says. A global community, he would add: the talented singers and musicians of IBOC performing in this concert are from Brazil and everywhere. Death will performed by Olga Bakali, while the Knight Antonius Bloc will be performed by tenor Nelson Ebo. The cast also includes Melanie Ashkar as The Squire Jons, Heejae Kim as The Actor Jof, Alexandra Filipe as The Actress Mia, Daniel Klein as The Monk, and Shana Grossman as The Witch Tyan. This is MacDowells’s fifth Opera. The first one was “Tamanduá”, in 2008, the second one “Plastic Flowers”, in 2012, followed by “Cries and Whispers”, in 2015, and recently he wrote, “A Trilogy for the Twitter Age”.